Rammer expands its product range to meet specific needs of the construction and demolition industries. The use of advanced hydraulics, materials technology, strength calculations, impact wave theory and production technology has made Rammer rockbreakers the most powerful, durable and cost-effective on the market. Being one of the world’s most trusted brands is not about technology and innovation only, it is about listening to what the customers say and what their application specific needs are. All Rammer products have been developed in conjunction with customers across the world to help them reduce breaking times and maximising productivity. As a response to customer needs, Rammer was the pioneer of introducing rockbreakers for tunnelling applications and the first brand to offer large and heavy duty hydraulic rockbreakers that do not miss a beat in tough conditions. To celebrate four decades as the leading manufacturer of hydraulic rockbreakers, demolition attachments and boom systems, Rammer is introducing the new Performance Line breakers* that are your everyday breaking solution. Performance line breakers are ideal for use in urban areas where excellent power-to-weight ratio and noise suppression are important while enjoying the industry leading performance and reliability customers have grown to expect from Rammer products. 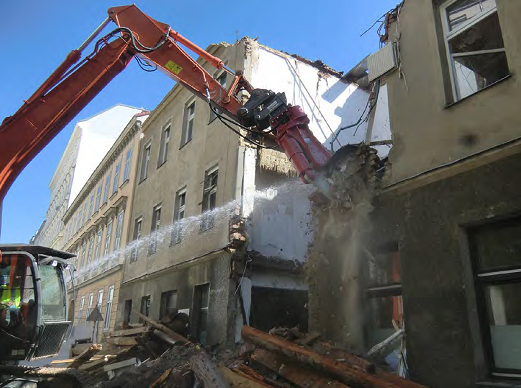 “To complement the new Performance Line breakers, recently launched demolition attachments have been designed to meet the specific and ever-changing needs of our customers in construction and demolition industries,” said Rafa López, Rammer General Manager. “With fast cycle times and low ownership and operating costs, Rammer’s range of Pulverizers, Cutter-Crushers, Scrap Shears and Grapples provide greater versatility, enhanced productivity, improved wear resistance and simplified maintenance for our customers,” concluded Mr López. Rammer products are manufactured by Sandvik Mining and Rock Technology, a global leading supplier of equipment and tools, service and technical solutions for the mining and construction industries. Rammer’s products are supported by a dedicated global dealer network with ready access to Genuine Rammer parts and a wealth of operational knowledge and experience to ensure that your Rammer product continues to contribute to your company’s profitability for its entire working life. Performance Line breakers are available in Australia in the first quarter of 2019.